I occasionally experience pain along the outer margin of my left kneecap. It’s never severe enough to keep me from running, and it seems to come and go without much explanation. My most recent bout seemed to crop up after a run in the new Mizuno Sayonara – I can’t say for sure that the shoe had anything to do with it, but it has a much higher heel than I’m used to and I could tell that it was altering my gait a bit. Last Saturday on a 13 mile run I was playing with my stride to see how it would affect the mild ache in my knee. It seemed that when I relaxed all of the muscles below my knee the ache would subside. If I forced a forefoot strike with a slightly stiffened leg it also seemed to help. However, if I really forced dorsiflexion of my foot prior to ground contact via contraction of the tibialis anterior the pain seemed to perk up. These are the fun things I like to do while running – figuring out how to make my knee hurt! I spent a good long time thinking about possible mechanisms that might be at play to cause these changes. Somewhat fortuitously, a journal article abstract arrived in my inbox this morning from Medicine & Science in Sport & Exercise that was titled “Increasing Running Step Rate Reduces Patellofemoral Joint Forces.” The paper was by a team from the University of Wisconsin led by Rachel Lenhart – it’s a group that I’ve written about before here on Runblogger (here and here), and I have found their previous studies to be fascinating. In the current study, the team filmed 30 runners on an instrumented force treadmill, and used a biomechanical model to estimate forces through a number of muscles, tendons, and joints in the legs. Runners were filmed at their preferred step rate, and also at 90% (lower cadence) and 110% (higher cadence) of their preferred step rate to see how altering cadence affected these forces. It’s important to note that forces were estimated via modeling and not by actual sensors in the tissues (that would be a tough study to do! ), so that is always something to keep in mind in a study like this – results are only as good as the model (and I don’t have the expertise to evaluate the model they used). 1. Increased step rate reduced vasti, gluteal, soleus, and patellar tendon forces during stance. 2. Running at 110% of the preferred step rate induced an 11% lower peak patellar tendon force at midstance compared to the preferred cadence. Running at 90% of preferred step rate resulted in a 12% higher peak patellar tendon force than at the preferred cadence. 4. Peak patellofemoral force was lowest at the highest step rate (14% lower than at preferred), and highest at the lowest step rate (15% higher than at preferred). In other words, increasing cadence over preferred reduced patellofemoral force. 5. 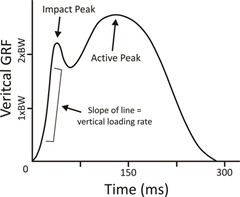 Peak patellofemoral loading rate (rate of force application) was lowest at the highest step rate (11% lower than preferred), and highest at the lowest step rate (6.4% higher than preferred). 6. Compared to the preferred cadence, running at 110% of preferred step rate resulted in “an average 3.3 degree (7.0%) decrease in stance phase peak knee flexion, a 2.5 degree (8.4%) decrease in ankle dorsiflexion at mid-stance, and a 1.8 degree (10.6%) increase in knee flexion at initial contact (all variables, p<0.005 - data not shown). So at a higher cadence the knee was more flexed at contact, but peak flexion at midstance was lower. 7. Peak vertical ground reaction forces were reduced by 2.6% at 110% of preferred step rate. 8. Knee flexion angle during stance was the best predictor of patellofemoral force – more flexion during stance led to an increase in patellofemoral force. Peak vertical ground reaction force was not as strong a predictor of patellofemoral force. In a nutshell, these results suggest (and I’ll use the word suggest since this was a modeling study and actual internal forces were not measured directly) that peak forces and rate of force application through the patellar tendon and patellofemoral joint are reduced when cadence is increased by 10% over preferred (i.e., a shorter, quicker stride), and increased when cadence is reduced 10% from preferred (i.e., a slower, longer stride). Perhaps more interestingly, they suggest that the key factor explaining this result is not so much the peak vertical ground reaction force (which has been the focus of much of the debate relating to form change of late), but rather the maximum amount of knee flexion during mid-stance (i.e., the maximal amount that the knee bends). I find this particularly interesting in light of my own knee ache since one of the most effective ways to make it go away is to stiffen my affected leg and land on my forefoot. My guess is that what is happening is I shorten my stride and flex my knee less by doing this and it reduces the force through the affected tendon. Now I need to put the Sayonaras back on with a cadence sensor attached and see if I can make some magic happen! Another reason why I find this result fascinating is in light of the anecdotal evidence from fellow runners who have described how they have made knee pain disappear by either A) running barefoot or B) running in maximally cushioned, low-drop shoes like Hokas. I was actually asked this very question while giving a talk last week at a running camp – how can two such different approaches both lead to a reduction in knee pain? My response was that there are likely multiple ways to accomplish the same goal of reducing loading at the knee. I didn’t give much thought to the mechanisms, but possibilities are starting to crystallize a bit in my head. The barefoot explanation is easy. It has been well characterized that barefoot running tends to result in a shorter, quicker stride with greater knee flexion at initial contact but less peak knee flexion at midstance (I write about this extensively in Chapter 8 of my book). These are the exact patterns show in the Wisconsin study at 110% of preferred cadence. So taking your shoes off could very well lead to kinematic adaptations at the knee that reduce loading and in turn diminish knee pain. This is why I advocate giving barefoot or a very minimal shoe a try (very gradually!) if you have chronic patellofemoral pain. If the alternative is not running, it can’t hurt to give it a shot. But what about Hokas? My initial thinking when I was asked the question was that the extensive cushioning reduced ground reaction forces or loading rates and thus somehow benefitted the knee. After reading this paper I’m thinking of a slightly different mechanism. The Hokas are a super soft shoe. One of the kinematic adaptations to running on a very soft surface (think sand or trampoline) is to stiffen the leg. I’m wondering if one of the adaptations to running in Hokas is increased leg stiffness and reduced knee flexion at midstance. 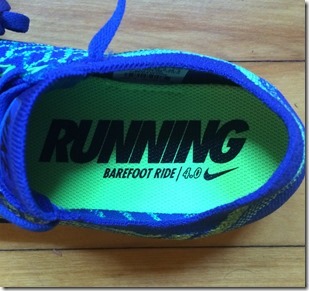 This could explain the reduction in knee loading reported by many runners who have fallen in love with these shoes. with the right lab setup it would be relatively easy study to take a bunch of runners and compare joint kinematics barefoot, in a traditional shoe, and in Hokas and compare things like peak knee flexion at midstance. I await the results! In the meantime, I might have to dust off my Hokas and take them for a second run, followed by a bit of distance barefoot. I’m curious how my knee will feel in the two conditions. If I decide to do it, I’ll report the results! I feel your hypothesis about runners in HOKA running with stiffer joints and resulting lower knee flexion at mid-stance is reasonable. This would need to be done whilst avoiding increases in stride length/reduction in cadence. I think one of the key effects of the rocker will be to reduce the amount of dorsa-flexion of the toes on toe off. If you have problems with your toes/met heads then this could help. The rocker could potentially reduce the amount of flexion of the ankle. Efficiency wise a rocker may “feel” like you are moving smoothly through to toe as the height of the toes/forefoot is dropping steadily through the gait cycle. However, the rocker will lead the body weight dropping a little at a time when you actually want to be rising, so you time in air will be compromised and with it a reduction in efficiency. Wow Pete great article. It is interesting that I found relief from my knee pain in Hokas and in the new Nike Flyknit Free that I have been running in lately. I noticed that the light weight of the Nike has enabled me to up my cadance rate (probably at the rates you mentioned) and therefore no knee issue. I couldn’t figure out why this was occurring now I see the reason. Real interesting. Very intriguing analysis, Pete. Would the leg stiffness that the Hokas seem to inspire also cause more fatigue relative to running barefoot? I ask because, when you say “stiffness”, I think “tension”. And, tenser muscles would require more energy, right? I know from lots of running in Hokas that while at effort, during the workout or race, my legs feel and tire at about the same time as a “conventional” or more minimal runner . I am convinced that the next day for any equivalent perceived effort my legs are far fresher, less soreness able to sustain both additional miles and pace as a result of running in Hokas. Not sure if this is due to less knee flexion or something else. I also am quite convinced that for an equivalent perceived effort I am also somewhat slower in Hokas particularly as distance increases. This may also due to my need to do some cross training and core exercises. I am going to adapt my use of Hokas to training only and see what happens. This science is getting real interesting. Some will freak out if it turns out super minimal and Hokas have common bio mechanical “impacts”. Great summary and comment. I too suffer from knee pain and am on an ongoing quest to stop it. I have tried Hokas, Vibrams and MT10s, varrying foot strikes and cadence. What I find to work (most of the time) is the Asics Nimbus 14 with a mid-foot strike and a high cadence. I have a slightly high arch and the Nimbus gives me some support and the ample cushioning seems to help. I still get periodic “flareups” which consist of a sharp tingling/stinging-like pain. Usually squeezing the quad just above the knee will result in temporary relief. Do you know what could be causing the pain/have any shoe or technique reccomendations for such pain? 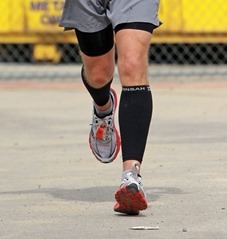 I remember when I first started trying to get the hang of natural running, I tried to copy a certain barefoot guru. His knees seemed to always be quite bent, even at mid-stance, and that’s what I tried to do as well. After a couple of days of this, I was screwed up worse than I have been the whole time I’ve been running. Over the winter, I focused on getting myself balanced with one-legged stances and other exercises of my own devising, and when I did run, I took it slow in ultra-minimal footwear and tried for a forefoot strike. Since then, I’ve felt really good, and have not been plagued by any injuries. I have also been surprised to see in my race pictures that my knee at mid-stance is not quite as flexed as I would imagine it would be. Hmm, interesting. I’m really curious what you’ve had to say about the reported industry move back towards “maximalism.” Obviously, it works for some people and maybe you’ve already talked about this and I missed it because I’ve been totally zoned out, but it would be curious that trend plays out, particularly if your theory is correct about knee pain. I do have strong reservations about the max cushioning trend and how it will influence running form, but at the same time have seen many benefit from a move into shoes like Hokas (my wife, my friend Nate). I think what we are seeing here is a very similar situation as happened with minimal – some people tried the shoes and reported benefit, a niche brand (Vibram, now Hoka) caught on with a subgroup of the running population, and then the big brands move in if the trend has legs. After a few years things will shake out and the niche will remain and the big players will move on to the next big money maker. Trends and fads make big money for a short time, there’s a benefit from a manufacturer standpoint to reading them and jumping on them then moving along to the next big thing. I’ll respect most the companies that continue to offer diversity of options. Hi Pete, I’m an Australian Hoka rep and the product information we use from independent European testing said that high speed photography in labs showed up to a 20% reduction in knee flexion in runners on a treadmill compared to their running on treadmills at the same pace in their standard trainers. Similar to what you’re saying, when I was first running in Hoka I thought that the cushioning was working to not just reduce joint impact but perhaps provide the same benefit suggested about compression – reduced vibration for reduced muscle fatigue. But if the rocker reduces flexion by even a couple of per cent, while maintaining pace, then the small saving in quad extension with every step over a marathon or ultra adds up to any of the many different benefits people experience, most clearly faster recovery in big hardworking muscle groups as you have said here. Wow, thanks for the info Roger! Seems to confirm my suspicion, would love to see that data. My wife has benefited greatly from Hokas, so I thank you for that! We’re flat out at the City2Surf Expo in Sydney next few days but will try to dig that out for you next week. Drop me a line any time – Roger Hanney on Facebook. Interesting RogerinSydney. I wonder if the R-Mat midsole in the new Conquest is really intended, when combined with the other EVA part of the midsole and the suspension frame to continue to reduce the vibration as with all Hokas(my legs always fresh) and provide a better rebound, while recovery in Hokas day to day is incredible I find that for a given perceived effort I am slightly slower pace wise. I think the studies left some important questions unanswered. Increased knee flexion is desirable when force increases in any movement (try to jump from a height and you will want to land in a squat, for instance). In our experience, it is not knee flexion that is the problem. It is the tracking action of the knee. The knee is designed for flexion, but not for rotation or shearing forces. The study would need to measure whether the knee joint was tracking correctly over the big toe joint/ball of the foot. If you land in a deep but are unable to land and load the ball of your foot correctly and your knees do not track correctly in a sagittal plane then the forces will very likely be too high for the patellofemoral area to cope with and pain or potential injury will result. Landing with less knee flexion is not something i would personally be comfortable teaching runners and would fear for the consequences of going that direction. Rather I suggest we teach runners to learn to trust their knees and be coached in the correct posture, rhythm, relaxation and other aspects necessary to achieve a correct landing, with appropriate knee flexion for the forces involved and the knee joint tracking in the sagitall plane over the big toe joint. We have seen examples of even a pair of Vibrams visibly compromising people’s ability to achieve correct landing, so with a pair of Hokas, I would not be optimistic about the results. So I suggest future studies look at how the Hokas impair or not impair runners ability to achieve correct technique rather than looking at an isolated variable like knee flexion. I personally don’t put a lot of weight into this. I partially agree with Rene on the flexion of the lower leg at the ankle (and knee). If you consciously change how much you flex your knee, you are also changing how the entire chain moves in different planes for that phase of the gait cycle. Do that long enough, and you will eventually have more injuries to cope with. To say it another way, you are consciously compensating. And when the foot is on the ground, the muscles are supposed to work unconsciously. The ankle is a pure hinge joint. Which means it is only going to allow for flexion. The knee on the other hand is a modified hinge. When the foot is on the ground, it will allow for flexion in 3 planes of motion: abduction of the lower leg, medial (internal) rotation of the lower leg and dorsiflexion of the lower leg. Optimal motion in all 3 planes of motion is only possible because of the combined motions that are available at the ankle and the subtalar joint from below. The same case could be made for the hip, and its relationship to the knee as well. Ultimately, anything less than optimal motion means less elastic energy storage. And energy leaks lead to more muscular effort, and a foot that stays on the ground longer. The tracking of the patella is dependent on what the entire chain is capable of doing in all three planes of motion. When the brain doesn’t sense stability at a joint, it will alter the path of motion at the joint to protect the athlete from further injury. The whole point is that this happens unconsciously as the surface underfoot is modified, it’s not a conscious change – Nigg, Farley and others have done a ton of work on this. We tend to stiffen on softer surfaces and are less stiff on firmer surfaces. And the model used in the study showed that almost 70% of the variation in patellofemoral force could be explained by knee joint angle at midstance. If you can’t get into that position prior to landing, you won’t have as much motion in the opposite direction to decelerate and dissipate force. And the patella is not going to stay on track because the timing mechanisms are off. I agree with the stiffening on softer surfaces etc. However, I think you would agree that every runner has a different potential for muscle stiffness. The amount of available motion at a joint, muscle fiber ratios and athletic potential are all variables. Mark is a great example because he is going to have a ton of stiffness naturally. Any research that is done on a treadmill is a call for concern because running on a treadmill is very different than running on land. The muscles are not called upon in the same way. And the tibialis anterior is a great example of that! Ah, I misunderstood what you were referring to, my bad. Thought you were talking about the stiffness in Hokas. I agree that my experiment was a bit extreme, but it worked to recreate pain that seemed to occur when running in a higher drop shoe, nothing definitive obviously, but stiffening my leg clearly seemed to diminish the pain. Interestingly, I ran 4 miles to the track today in Skechers GoRun Ultras (like a Hoka) and though I could feel a tight sensation in the lateral quad/patella, no pain. Could just be regression to the mean though. But even more interesting to me was that while running repeats on the track in spikes I never once even noticed my knee. I do agree about stiffness being variable, and that’s one of the things Nigg talks about with muscle tuning. It’s a matter of finding the right solution for each individual. 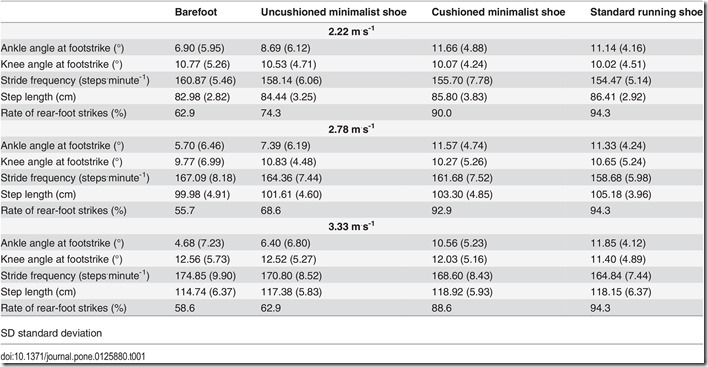 He has some interesting and somewhat counterintuitive stuff in his book on recommend shoe cushioning for larger and smaller runners based on this. What if one has already spent some time increasing cadence? I typically run at 90-100, but didn’t a few years ago. I wonder if 110% of my preferred would be 110% of my current, or what I was at before I thought much about cadence? I sure do love the Hoka’s. Running 70 miles/week with pretty much no bad pain. Used to run in some thin Altra’s and my metatarsals started hating life above 45 miles/week in those. Sounds like you may have already reaped the benefits. My rule if thumb is if you aren’t having trouble, don’t mess with form too much. In addition to gait affecting ITBS, I found this article that looks at the issue from muscle perspective. The title is “Gluteal Muscle Activation During Common Therapeutic Exercises” from July 2009 edition of journal of orthopaedic & sports physical therapy. They looked at multiple exercises to strengthen medial and maximal gluteus muscles. I found that one limb dead lifts, OL squats and lateral band walk really helped to strengthen the glutes to reduce strain on my knee. That, and maybe a heightened awareness of form, gait and listening to my body has helped. Glute weakness has been implicated in ITBS, so this seems like a good approach. There are lots of ways to achieve the goal of reducing stress to a target tissue, strengthening supporting tissues, increasing mobility, shoes/orthotics, etc. different solutions for different problems and different people I suppose. Thanks for the article. Could you elaborate on what is meant by knee flexion angle in #8 above? I have also noticed a decrease in nagging knee-pain when I shorten my stride and increase my cadence. degreed not have from now on problems for an extended time or ever. You have nicely explained the concept, Peter Larson! I used to run daily in the morning wearing a heavy weight running shoe. Then, my doctor consults me to use a lightweight shoe, but still feel knee pain. After reading your article, I go with Hokas and barefoot running last few days. Suddenly, there is no knee problem. I never tried something like it. 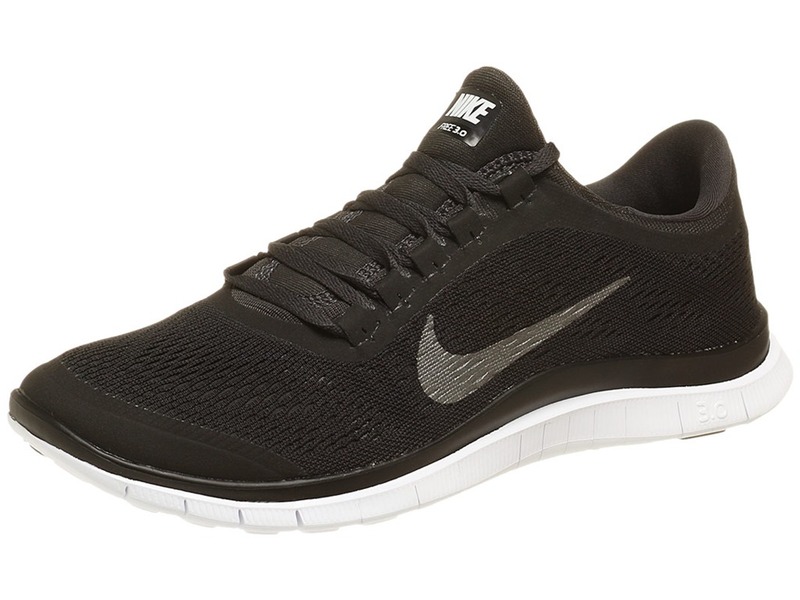 Can you also suggest some running shoes that do not cause knee problem? It really varies from individual to individual, but if Hokas are working for you stick with them. I prefer running with shoes. They provide me good feeling. Barefoot running increase my foot pain. Would you like clear the concept how barefoot reduces knee pain more briefly?